Gear consists of three types: weapons, armor and accessories. The color and number of stars indicate its Rank. Gear can be upgraded up to Rank 10, with it becoming progressively more difficult to upgrade to a higher rank. However, if an upgrade attempt fails, a fail mileage is accumulated and slightly increases the chance of success. 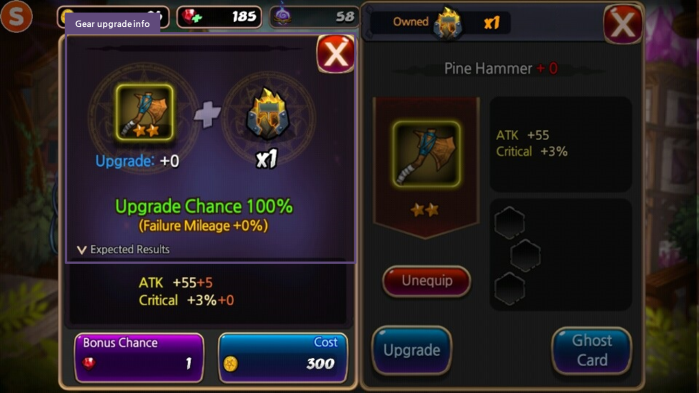 You can upgrade by selecting an item in the Gear box and pressing the [Upgrade] button. 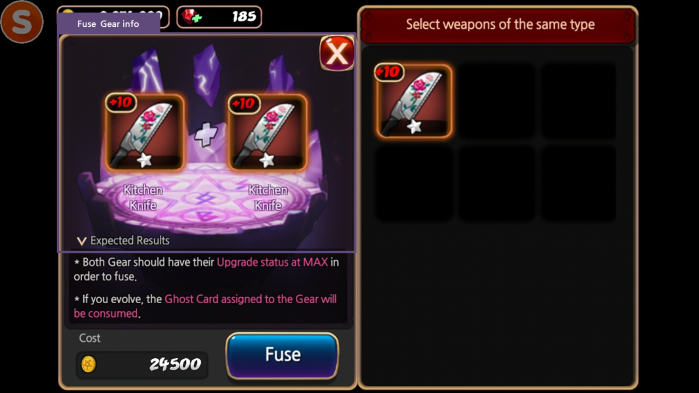 Upgrade will use up Gear Gems and resources (Gold or Ruby). below the Gear box can be used to sell multiple Gear at once. This can be equipped onto Gear or used to craft Guardians. 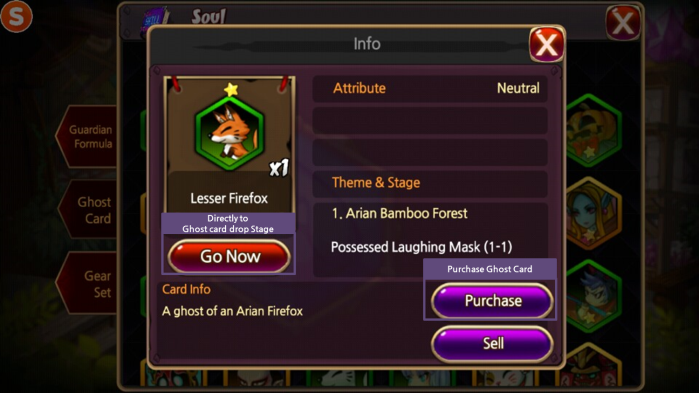 Find a Ghost Card in the Soul Album and purchase it using Gold or Rubies. Alternatively, acquire it through Ghost Extermination. Guardians not only increase a Hunter's stats, but they also grant a unique skill (as does a pet in other games). Each Guardian holds specific skills and stats, and a Hunter can equip up to two Guardians. 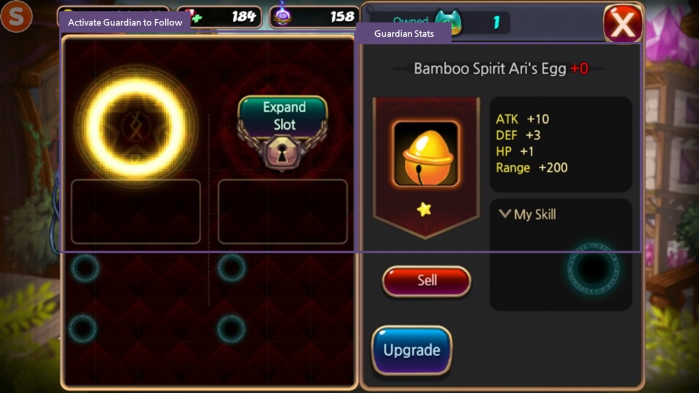 Guardian requires its lower Rank Guardian item as a material. 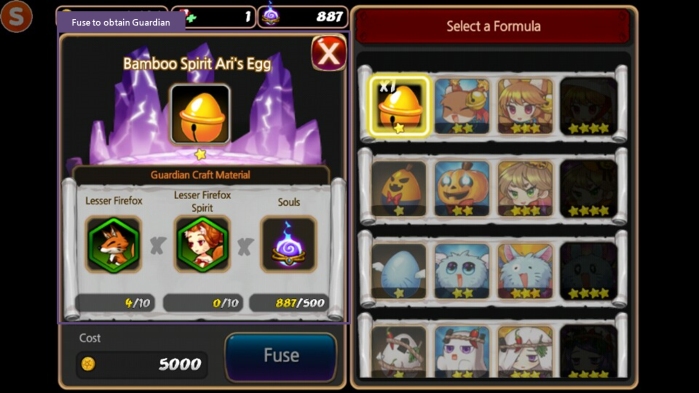 Upgrade a Guardian by selecting it and using Guardian Gems and Gold. 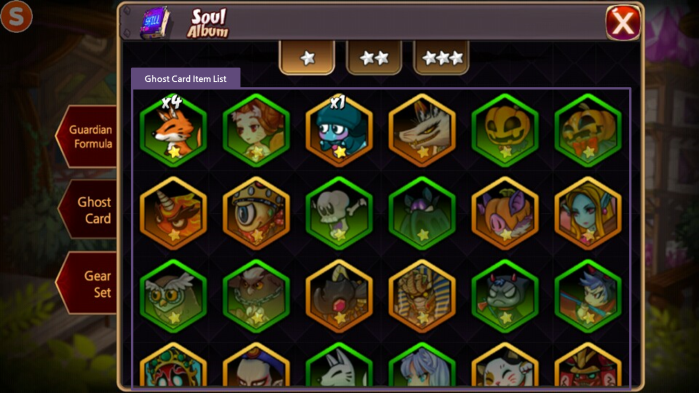 The maximum Upgrade rank is 10. 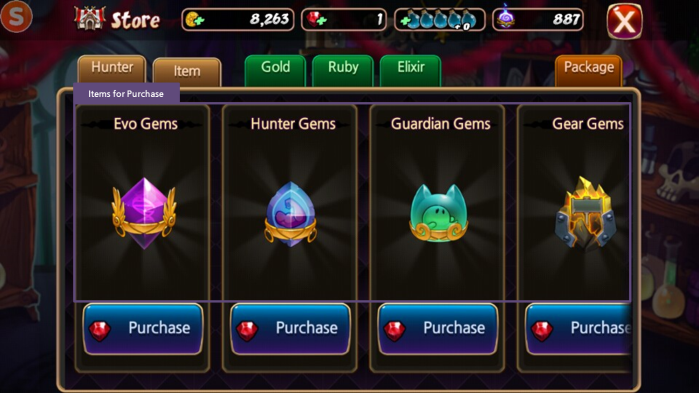 In the Store, you can purchase various game items, such as Hunters and Upgrade Gems. You can also purchase in-game resources, such as Gold, Rubies, and Elixir. 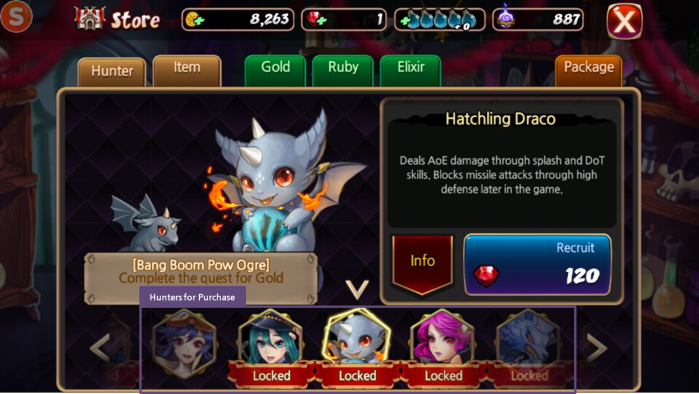 Although a Hunter can be purchased using Rubies, a Hunter can also be purchased using Gold if you complete a specific quest. You can view the Hunter's stats, evolution tier, and skills prior to purchase by pressing the Info button. 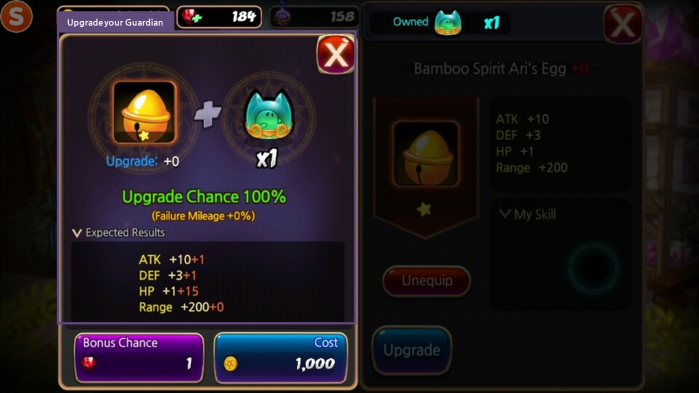 You can purchase items such as Upgrade Gems, Evo Gems and Ultimate Potions.